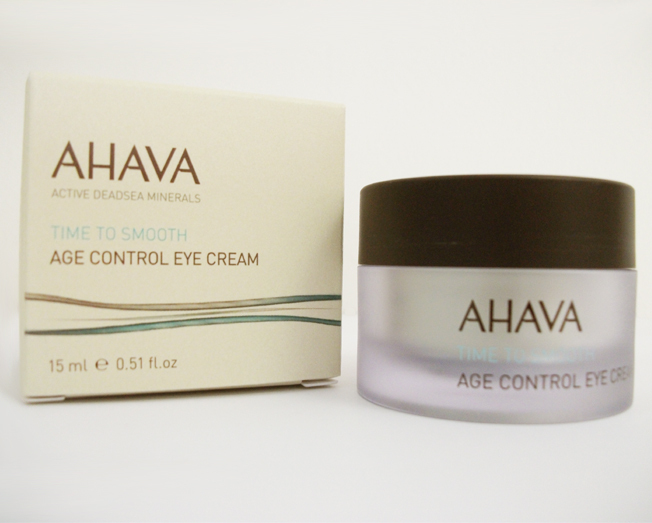 This light, non-scented Age Control Eye Cream by AHAVA Dead Sea Cosmetic is enriched with their special 3D Complex™ and Osmotor™ blends of desert plant extracts and Dead Sea minerals and salts. Daily application to the delicate eye area will dramatically reduce the appearance of fine lines and provide essential moisture to give your skin a younger look. Allergy tested - Paraben Free. Ophthalmologically tested and approved for sensitive skin. Your eyes are thought to be your windows onto the world and are usually the most expressive and noted part of your face. They are also the first area to show the detrimental signs of aging- Crow's feet or laugh lines around the eyes are the most obvious among them. 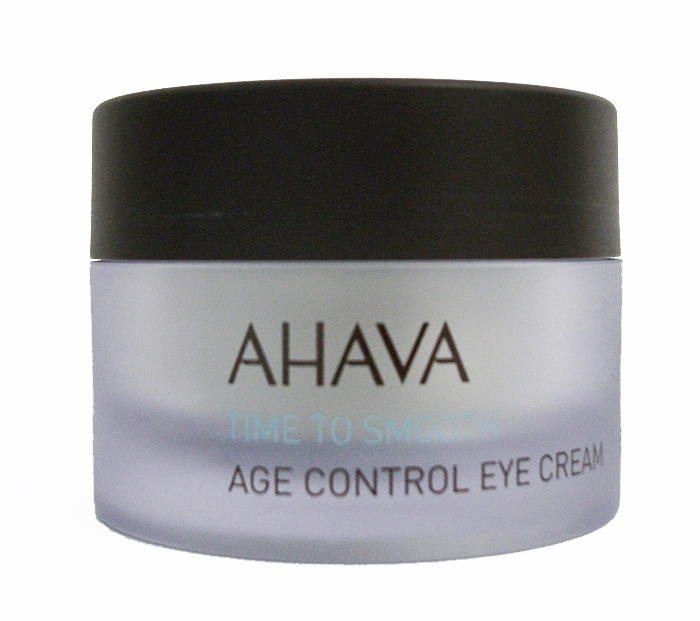 This intensive yet gentle Dead Sea eye cream is made especially for use on the delicate skin around your eyes, providing day long soothing moisture, and visibly minimizing the appearance of the fine lines and the affects of daily sun exposure. Halt the signs of aging in their tracks! AHAVA's 3D Complex™ is a unique blend of three powerful components made from dead sea minerals and plant extract that heal and replenish the skin simultaneously. Minerals from the Dead Sea assist in retaining and enriching the skin's natural moisture. Dunaliella algae extracts contribute various anti-aging properties while also helping to reduce wrinkle depth and smooth fine facial lines. Lasty, Date plant extracts that contain anti-oxidant rich Beta Carotine and Vitamin E strenthen the skin's fighting powers against free radicals and other environmental damage. AHAVA's Osmotor blend of Dead Sea minerals harvested from the healing Dead Sea salt waters that optimized cell matabolism, helps protect from UV damage and significantly increases the moisture content of your skin. All of which combine to keep your complexion looking young and supple. Approved for sensitive skin - Allergy tested, Paraben free. Dermatologically and Ophthalmologically tested - no animal testing. Usage: Gently massage the cream into the skin in an upwards motion towards the eyebrow.